I’ve been a big Mac and Cheese fan for as long as I can remember! My sister and I adored the boxed macaroni packets when we were young and would always have them after school while watching kids tv. 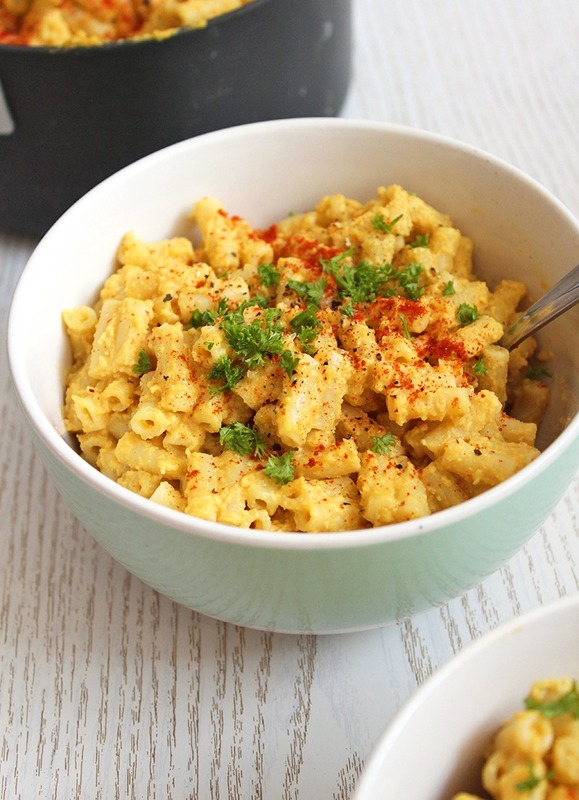 After becoming vegan, Mac and Cheese was one of the very first meals I tried to make from scratch. I searched for a “good” recipe on the internet and tried a couple of them. Until I found one that created a macaroni dish that was very basic but had the general texture and base flavours that I was interested in. Over the years I’ve adapted and improved it to the point that I’m very happy with it. 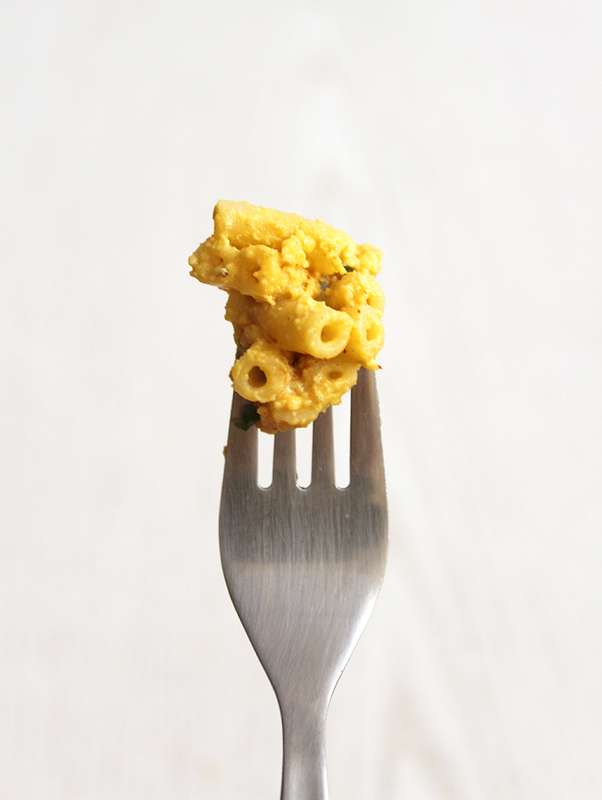 It’s important to note that you should soak your cashews before you make this Mac and Cheese. Just place them into a bowl and cover with warm water for at least 2 hours. Once they’re finished soaking you can drain them, give them a quick rinse and they’ll be good to go. The recipe itself is very simple. 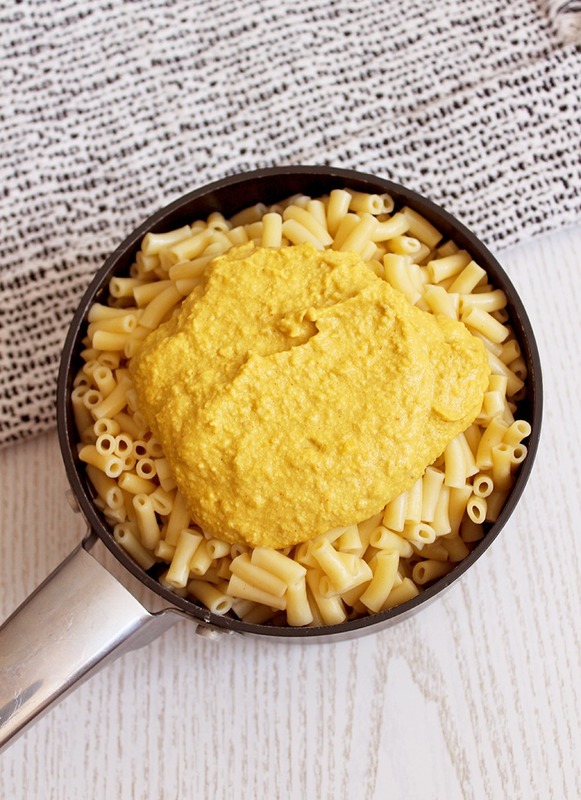 While your pasta is cooking, all you have to do is boil the potato, onion and carrot and place this into a food processor with the rest of the ingredients and blend it into a thick cheese sauce*. Pour this over your drained and rinsed pasta and serve with a sprinkle of paprika, salt and parsley. 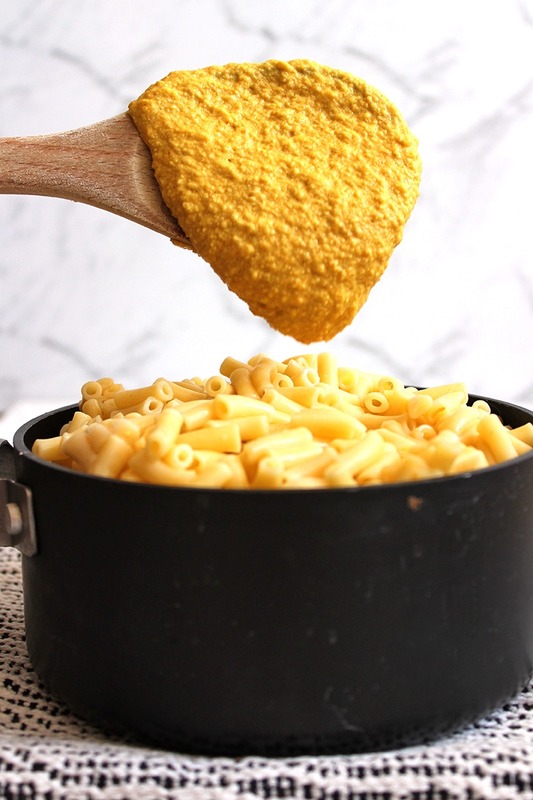 *Side note: I like my sauce to be thick and a little bit chunky but if you want a cheese sauce that is smooth and velvety, just blend it for longer. 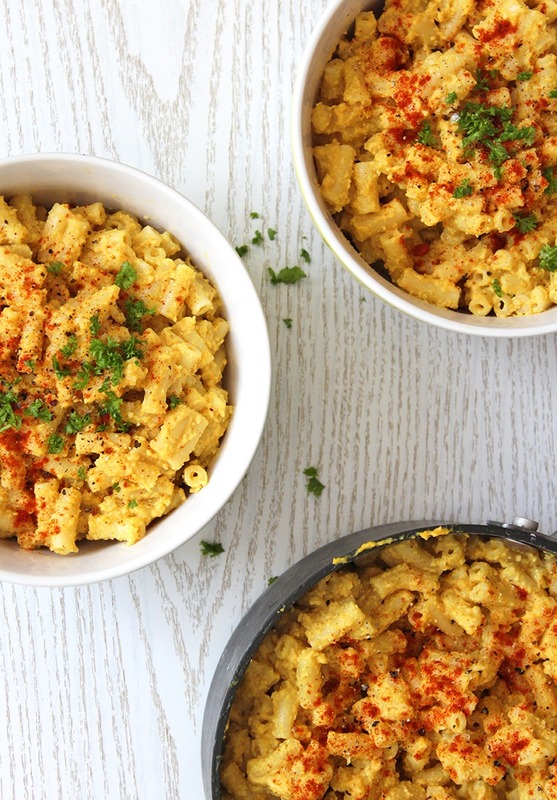 This tasty vegan Mac and Cheese is one of our staple meals. We have it one to two times a week and it’s the number one meal I opt for when I have less energy to cook dinner. It also makes for a good left-over meal, either as it is or baked into a casserole with a breadcrumb top. 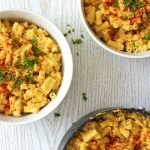 Being a creamy, cheesy pasta dish that’s easy and quick to prepare; it’s also a wonderful comfort food. At least 2 hours before making your Mac and Cheese, soak the cashews in warm to hot water. Put 2 medium sized pots of water on high heat to boil. Put your macaroni pasta into one of them to cook while you prepare the rest of the ingredients. Roughly chop the potato, carrot and onion and put these into the other pot of boiling water to soften. In the meantime place the drained and rinsed cashew nuts, coconut cream, nutritional yeast flakes, paprika, turmeric and salt into a food processor. When you can easily stick a fork through the potato, carrot and onion, drain and add to the food processor. Blend to form your cheese sauce and stop when you’re happy with the texture. If you’d like it to be runnier just blend in some plant-based milk. Once the pasta is also cooked, drained and rinsed, you can add the cheese sauce and serve hot.